It is a mixture of religion, music, people, animals, dance, food and drink, colour and laughter, family and friends. 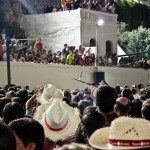 The very best of what you would imagine a Spanish fiesta to be, probably even better! 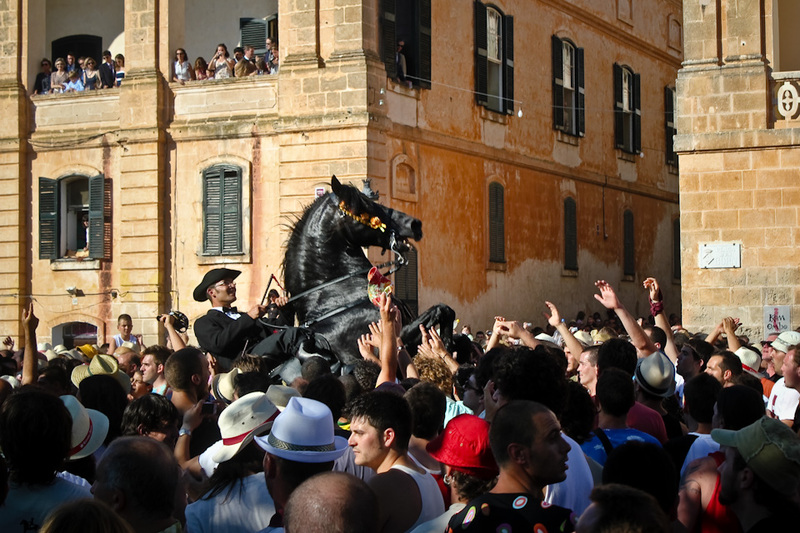 It is a fiesta that is truly at the heart of the people of Ciutadella and a custom of which the citizens are both very protective and proud. 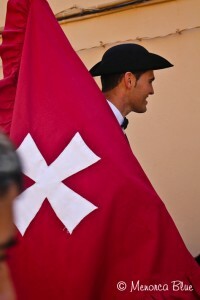 From June to September each month there is a fiesta in one of the towns of Menorca, the biggest being the first, the feast of Saint John or ‘Festes de Sant Joan’ in Menorquian. 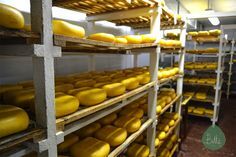 This fiesta although not the most famous of Spain internationally, has gained legend status nationally in a country that celebrates various fiestas in various big cities and little towns every weekend of the year. 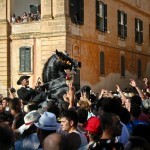 The difference is that Ciutadella is the little town with a very big fiesta attached to its name. 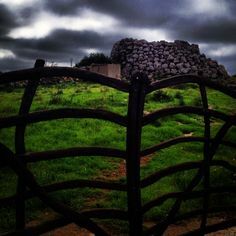 One certainly worth understanding and seeing for yourself once in a lifetime, or more if you are lucky. 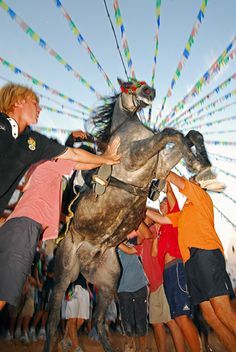 Unlike many of the other Spanish fiestas, Sant Joan (or San Juan in Spanish) is a fiesta that is marked with not one, but many days of beautiful and emotive ceremony and celebration. 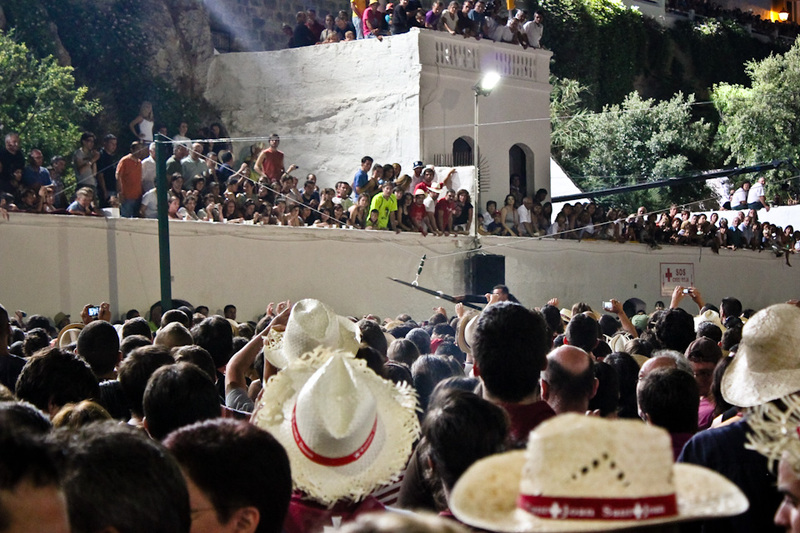 Arguably it is bigger in many ways than some of the more known Spanish fiestas in terms of associated traditions, events, participants, spectators, locations around the town, and in its duration. It is a mixture of religion, music, people, animals, dance, food and drink, colour and laughter, family and friends. 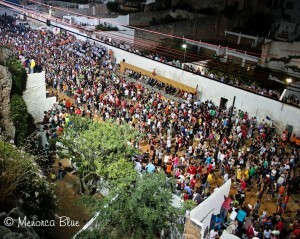 The very best of what you would imagine a Spanish fiesta to be, probably even better! 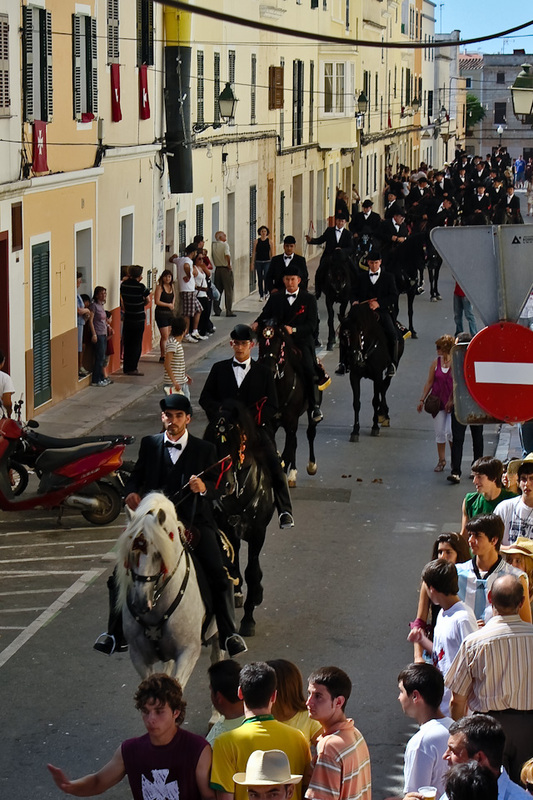 It is a fiesta that is truly at the heart of the people of Ciutadella and a custom of which the citizens are both very protective and proud. What is surprising is that during these long intense days of anticipation and excitement there is something for everyone from the smallest children experiencing Sant Joan for the first time, to the elderly who have a lifetime of memories from their local fiesta. The whole town finds the energy to last until the dawn of the last day, enjoying both the sacred moments of silence and the crazy joy of song, dance and ‘Jaleo’. 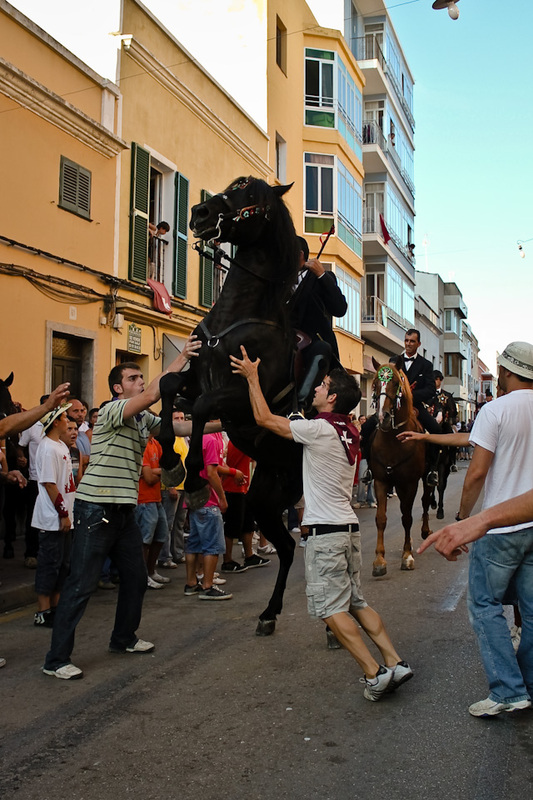 Everyone in Ciutadella can site something, some aspect of the fiesta, which for them makes it feel like Sant Joan has arrived. 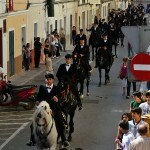 A bit like Christmas in other places, in Ciutadella its Sant Joan that is the most important date of the year. 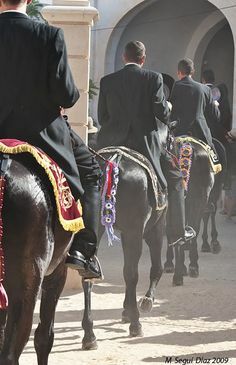 Whether it’s the sweltering heat, or the site of horses being ridden on the side of the road in preparation, the sound of the Fabiol (flute) floating in the air or seeing ‘Foc i Fum’, when Sant Joan is approaching, you can most definitely feel it. Hola Audrey! 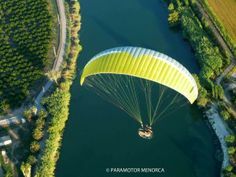 Its interesting but also LOTS OF FUN! 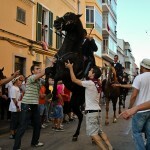 One of the biggest Spanish festivals that is not too overrun with tourists yet. 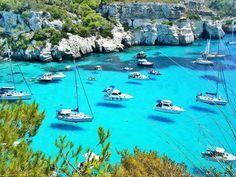 And the best bit is you can exhaust yourself with the fiesta for two days then pick any one of the divine beaches to lie on and recover for the following two days. Nothing like a dip in the Med to recharge your batteries! It’s the best! I highly recommend you add it to your bucket list and get here while you still have the energy to enjoy it! 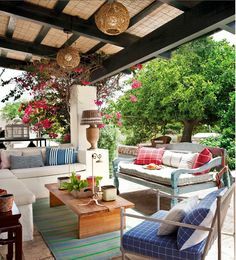 Hope to see you here soon. This sounds like such an interesting festival! 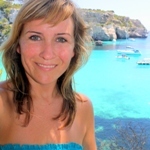 I’d love to visit Menorca during the summertime.